Ugh...why do I even bother sometimes. 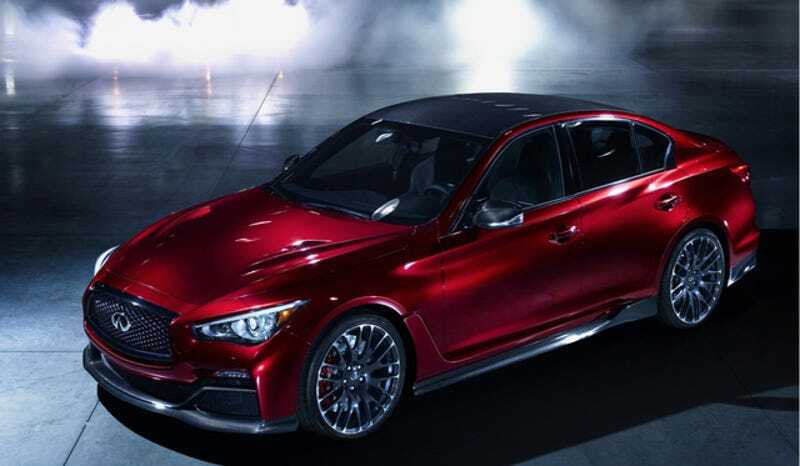 I made a comment on the FP (I know, I know) that if Infiniti really wants to take on ///M and AMG why don't they just start with the GT-R hardware and work with that. I get that it is expensive, and I get that the GT-R is not a luxury car. But isn't using what you have still cheaper than making an entire sub-brand from scratch? And what engines will they use, Mercedes? Using an AMG motor in your Inifiniti "performance brand" is not going to bring credibility. I'm not saying they should build an ///M3 fighter right away..in fact, I think they should just go big, go after the C63 AMG Black...throw down some lap-times, win some mag showdowns and tell the world you are serious. Once you have established a name then you can trickle down to smaller more volume models. Thanks for listening...rant over.